Innovated in the art or profession by being first to adopt an important style or approach, break a barrier or rise above the limits of the day. Think of who might have been the first to think of something or do something important. That’s a tougher standard that might be immediately apparent. Jacques Henri Lartigue — Lartigue picked up a camera as a very young boy and aimed it at his adventurous family at the end of France’s Belle Epoque. 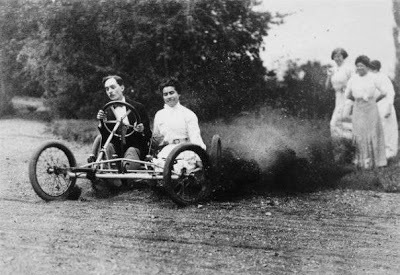 His best-remembered images are of auto races, early airplanes and cousins leaping in midair. His early images are of the fascinations of a young wealthy boy of the gilded age, but they show a joyful innocence unmatched in most documentary work. They are exuberant, ecstatic and defy the limitations of the photography of a century ago, capturing peak action and decisive moments with very slow plate cameras. To any child — which is what he was when he made his best-remembered images — there are limitless possibilities and no hard rules. His work shows the possibility in working without any adult-world-imposed constraint. He lived a long life, working as an illustrator and painter, then again as a photographer after his rediscovery by John Szarkowski and the Museum of Modern Art in the 1960s. 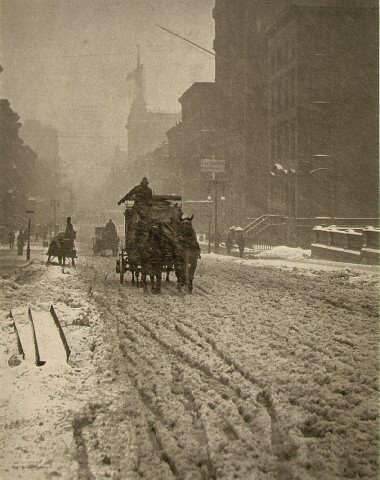 Alfred Stieglitz — Photojournalism is inextricably attached to the art of photography, as we make thorough use of light, form and composition in our work to change the world. No single photographer or curator did more to battle for the status in America of photography as an art or to promote its practitioners. His own work is often documentary, capturing steaming horses on cold New York mornings, and street life on the edge of night much as his European contemporaries Eugène Atget and Brassaï did in Paris. He promoted many photographers on or linked to this list, from Paul Strand and Edward Steichen to Ansel Adams who, in addition to his famous landscapes, documented the Japanese internment camps of WWII. Though his photography career crosses the 19th and 20th centuries, his influence was strongest in the years between the world wars. Edward Steichen — Few working lives spanned more interesting changes in photography, more genre of the art and more positions of influence than those of Edward Steichen. He began his career at the dawn of the 20th century by making an amazing array of portraits of the luminaries of the day, from J.P. Morgan and Theodore Roosevelt to Pierre August Rodin, Henri Matisse and George Bernard Shaw. His portrait style has resonated through subsequent generations from Yousuf Karsh and Philippe Halsman onward. That work moved him quickly into the world of fashion where his images helped define the styles of magazines like Vogue for a generation. 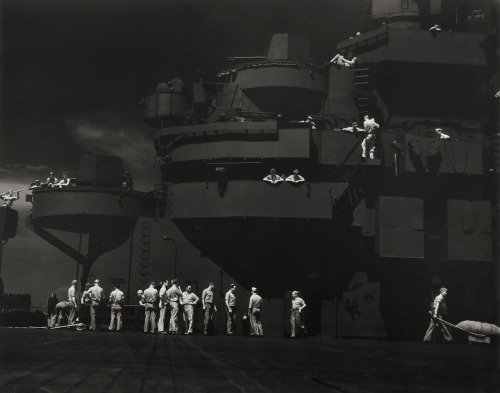 Himself a WWI Signal Corps aerial photo veteran, Steichen volunteered for duty in WWII, was commissioned by the navy at the rank of commander, and formed a team of photographers to document the war in the Pacific. His team included notables Wayne Miller, Charles Kerlee, Fenno Jacobs and Horace Bristol, among others. His own images, made of combat when he was already in his 60s, are notable for their capture of war action and the strange, graphic beauty of naval aircraft carriers. On war’s end, Steichen took the position as the first-ever curator of photography at the Museum of Modern Art in New York he mounted the “Family of Man” exhibition in 1955 which gathered images from around the Cold-War-stricken world to illustrate his point that, “The mission of photography is to explain man to man and each man to himself. And that is no mean function.” The massively successful exhibition helped define what photojournalism was at midcentury and influenced most of the work that has come since. Inclusion in the exhibition launched the careers of many photojournalists around the world, and the exhibition catalog has remained in print for more than 50 years. André Kertész — Cartier-Bresson once said on behalf of himself and others of his generation, “Whatever we have done, Kertész did first.” Kertész started photographing in Hungary before WWI, and through his service in the Hungarian army in that war. After developing his style — one of intricate and graphic compositions, geometric patterns and decisive moments — he moved to Paris in 1925. His work there was warmly received, but in 1936 he accepted an offer to go to New York, both to work and escape the Nazi threat building in Europe. He stayed until just before his death in 1985. He was also an early adopter of small handheld cameras allowing him to catch fleeting moments and travel lightly. Kertész’ work is artful, perfectly crafted, subtle, delicate and deeply inspiring. In perusing it you can see not only his brilliant seeing, but premonitions of all that followed. Paul Strand — Strand was not a self-described photojournalist and he is certainly better known as an art photographer. 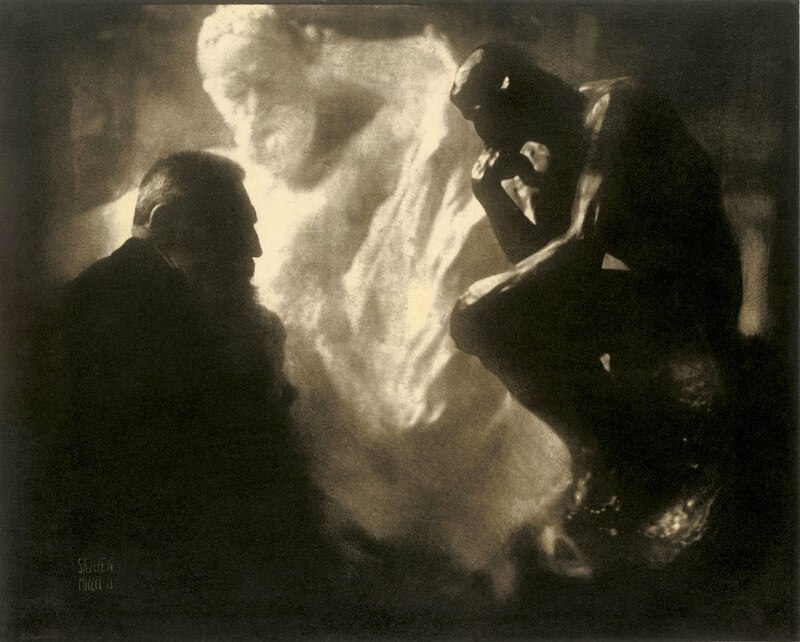 However he was instrumental in breaking the photography of the early 20th century away from the soft-focus romantic “pictorialism” of the day and showing that the power of the medium is crisp realism. He made powerful documentary portraits and photographic essays, and his art remained rooted firmly in the real world. And in anticipation of the early 21st century and visual journalists like Tim Hetherington, he was an accomplished cinematographer and film maker, documenting New York, the Spanish Civil War and the struggles of Mexican fishermen in his cinema career. Aristide Briand, pointing at Erich Salomon, exclaims, “Ah, there he is, the king of the indiscreet!” Paris, Quai d’Orsay, August 1931. © Estate of Erich Salomon. Erich Salomon — Advances in photojournalism come on the heels of technological advancement. From images of the still and quiet death on mid-19th-century battlefields to the galloping horses of Muybridge, film speed, camera handling and lens speed have all influenced the state of the visual art. 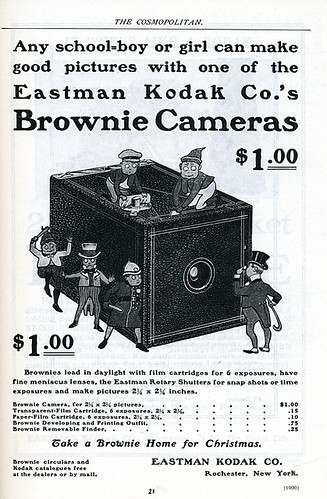 But until the 1920s, candid, handheld photography with a small camera was a challenge. Though “press cameras” and SLRs had been around for decades, the first camera that actually allowed the kind of photography we now relish was the Ermanox. It was a 645-format plate camera with a focal plane shutter that could shoot up to 1/1000 second (also not new), but it had an incredibly fast f/1.8 lens. On that format it was as difficult to engineer and had less depth of field than a 50mm f/1.0 has in the 35mm era. Complicating its use was that the focus at that narrow depth of field was done simply by guessing the distance. The master of Ermanox use was Erich Salomon, a German Jewish law school graduate who introduced himself as “Doctor.” With little prior photo experience, Salomon picked up this new little camera (one nearly universally shunned by professionals) and started talking his way into venues where no one had yet ventured with a camera — courtrooms, political meetings, the homes of the famous. He always dressed impeccably, conducted himself with the manners of a person who might be expected to be at such scenes and made pictures either overtly or by concealing the camera. Soon his images were being published by Berliner Illustrierte Zeitung — a political weekly that had pioneered visual reporting. Salomon was fluent in several languages and a talented political observer. Politicians either loved him and invited him into their worlds, or hated him and worked to make sure he was spotted at scenes. 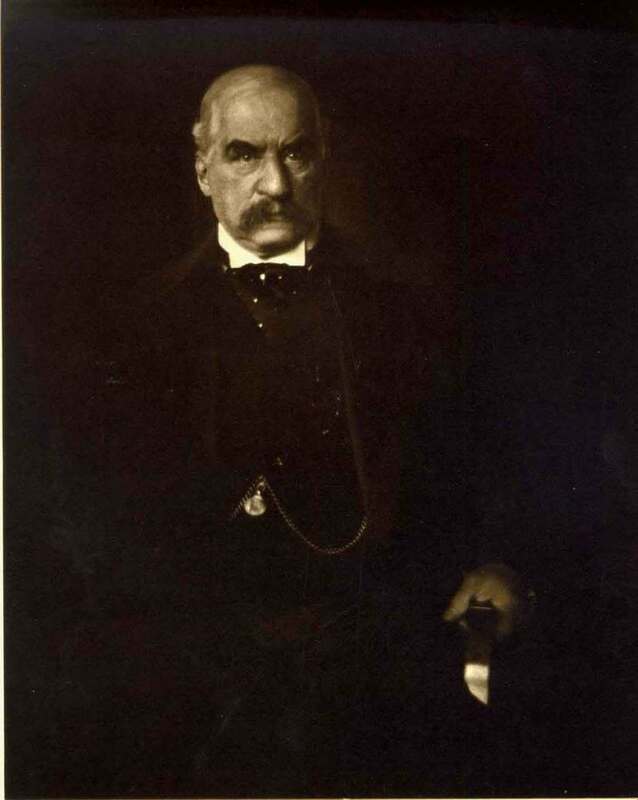 He also pioneered the technique of handing over unexposed film with supplicating apologies when caught where he should not be, and keeping the exposed films for publication. Though he had considered emigrating to the U.S. where his images were also being used by the new illustrated weeklies, he kept putting it off until in 1943 he and his family were forced into hiding. They were betrayed by a meter reader who noticed the heavy gas consumption at the house where they were staying in Holland. Salomon was killed at Auschwitz in July 1944. A goalkeeper dives for the save, Budapest, 1928. © Estate of Martin Mukácsi. Martin Munkácsi — Munkácsi is perhaps most famous for making the image that inspired Henri Cartier-Bresson to drop a paint brush and pick up a camera. 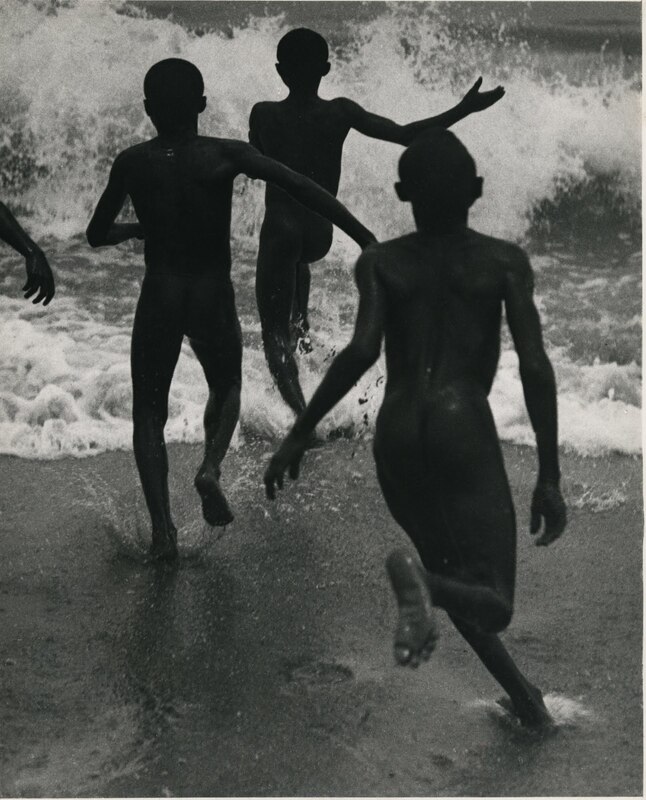 The image — of a trio of boys running into the surf of Lake Tanganyika — is his most often reproduced, thanks to HC-B. But behind that image is a career as an action photographer. 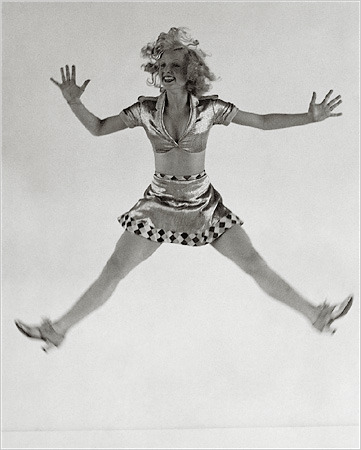 In Europe before WWII he was the toast of the fashion and sports photography world. Anyone who assumes sports photography is only possible with autofocus and ten frames per second needs to look at his tightly cropped, shallow-depth, razor-sharp images of goalies diving for a save or polo riders in mid-strike made in the 1920s on 4X5 and larger plates. Skiers breaking over cornice lines, dancers in flight, and models in mid leap hallmark his work. 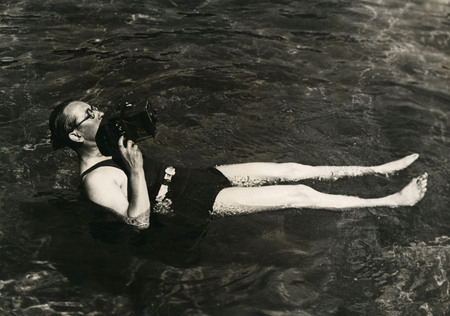 He went to challenging lengths to get his images — laying in the surf with a bellows-focused camera to photograph swimsuit fashion in the 1930s. Like his Hungarian compatriots Andre Kertész and Robert Capa, he was drawn to the U.S. before the war, and like Kertész, he languished here among much less inventive editors and publishers. Nazi propaganda minister Joseph Goebbels, 1933. © Time-LIFE, Inc.
Alfred Eisenstaedt — Eisenstaedt’s career began in Germany in the late 1920s with the illustrated press that arose there and ran into the 1990s for LIFE magazine, for which he was one of the first staff photographers in 1936. His last photographs were of Bill Clinton and family in 1993. He used small cameras from the start, making active images in low light on the heels of Erich Salomon. A few of his images are enduringly remarkable — Nazi propaganda minister Joseph Goebbels glaring with hatred, The V-J Day kiss in Times Square, a parade of gleeful children marching behind a drum major. But by today’s standards most of his images — though technically solid and timed well — seem boilerplate. We feel we’ve seen them so many times before. But what must be remembered in looking at his vast body of work documenting most of a turbulent century, is that Eisenstaedt didn’t have Eisenstaedt to emulate. He is the template for most of what we do. His journalistic sense was impeccable. Not only did he define the genre of photojournalism in how he worked, but he defined what it looks like to be a professional photojournalist. There is some Eisie in everything we do. 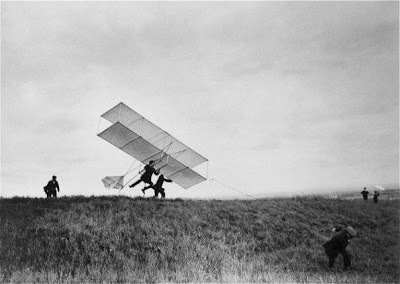 Henri Cartier-Bresson — He said that Kertész did it first and that Munkácsi influenced him. Can we put him on this list? I will argue yes, and not because he’s my hero of heroes. HC-B’s influence on all photojournalism since the 1940s is so wide and so deep it would be remiss to consider him derivative. His innovation comes from taking Kertész’ form and grace and combining it with Munkácsi’s timing to define that decisive-moment photojournalism and street photography we so love. He produced, directed and filmed documentary films during the Spanish Civil War and again in the U.S. in the 1970s. He fused high art and incisive journalism more directly than anyone before, and cofounded one of history’s most influential cooperatives to promote it. Running for shelter during the air raids. Bilbao, Spain, 1937. © Estate of Robert Capa and Magnum Photos. Robert Capa — As seen in the last post, war photography was not new and the bon-vivant photojournalist persona was not either. But Capa amplified both to as-yet-unseen levels. Capa was a talented self-promoter, inventing a name with his collaborator Gerda Taro (also an invented name) to make his work seem more valuable to editors. He photographed and filmed conflicts from the Spanish Civil War to the Japanese invasion of China, WWII, and Indochina where he was killed in 1954. His gritty few frames of the Normandy landings on D-Day are some of the most iconic images of the biggest conflict in world history. His style and approach have influenced all war photography that has followed, from David Douglas Duncan to Larry Burrows, Don McCullin, James Nachtwey and the late Chris Hondros. His high-stakes, high-living style has become the cliched image of the gambling, loving, champagne-drinking world photojournalist, so much so that Hitchcock fictionalized him in Rear Window. And on founding Magnum with Cartier-Bresson, David “Chim” Seymour and George Rodger, he was instrumental in reclaiming rights to their images for photographers. Walker Evans, ‘Truck and Sign’ (1928-30). Walker Evans — We know Walker Evans mostly through his work for the Farm Security Administration Photography Program where he produced some of his most meaningful images. But Evans was an accomplished documentary photographer before he joined Roy Stryker’s team. More interestingly, he was fired from the FSA. Evans and his work are as straight as an arrow. He took the idea of documenting seriously, using large format cameras to meticulously correct perspective and distortion on images of simple buildings throughout Depression-era America and in Cuba. But his images are far from artless. They prove over and again that art does not need to come from gimmick or visual trickery, and that the subtlety of light, shape and content can send a powerful message about the state of a culture. SX-70 Polaroids he made in the 1960s presage even a current fascination with those films and their phone-app emulators. Relief line following the Louisville Flood, 1937. © Estate of Margaret Bourke-White and Time-LIFE Inc.
Margaret Bourke-White — Bourke-White was not the first woman photographer, but she broke more glass ceilings and social barriers than any other. She was hired as a staff photographer for Fortune on the cusp of the Great Depression in 1929, was the first Western photographer allowed to photograph Soviet industry in 1930, and a staff photographer and author of the first cover of LIFE magazine in 1936. Like her contemporary, Dorothea Lange, she photographed the dire conditions of the Great Depression, and authored a book (with then-husband Erskine Caldwell), Have You Seen Their Faces. She was the first authorized woman combat correspondent of WWII. 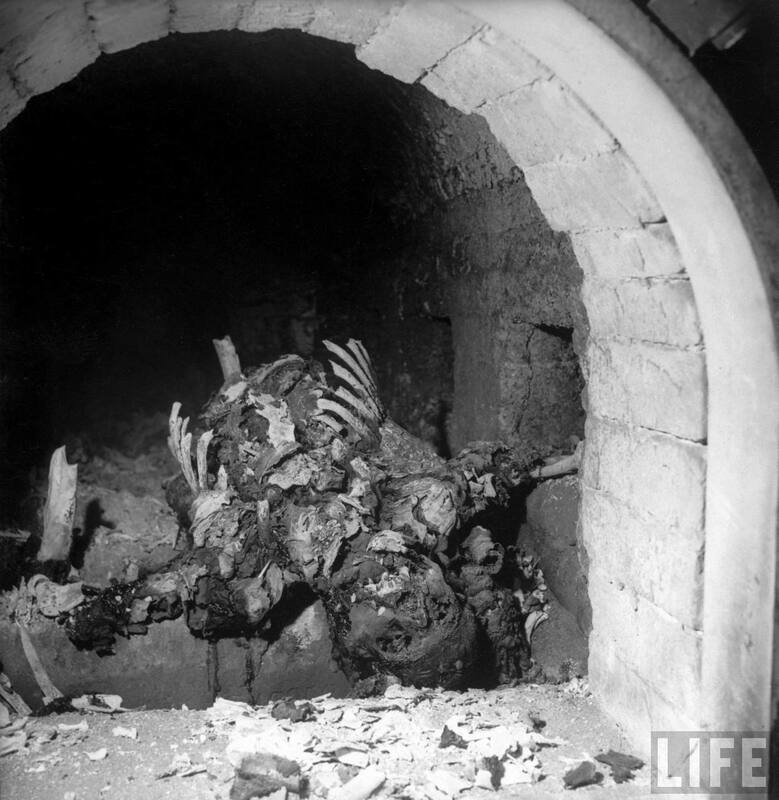 Her images of the Nazi death camp at Buchenwald are some of the principle historical evidence of Nazi atrocities. With Cartier-Bresson she photographed the partition of India and Pakistan and the violence it spawned, and made moving portraits of Mohandas K. Gandhi on the eve of his assassination. Her autobiography, Portrait of Myself, is a valuable read for any photographer. Ingrid Bergman at Stromboli, 1949. © Estate of Gordon Parks. Gordon Parks — Parks was a classic Renaissance man: A concert pianist, composer, photographer, writer, and filmmaker. There were black photographers before him, but none who elbowed his or her way through the discrimination of the day as effectively as him. He was born in Kansas and began his adult life as a railroad porter, but as a very young man he picked up a camera to photograph the plight of migrant workers. He progressed from that first roll to photographing fashion in St. Paul, which caught the eye of Joe Louis’ wife Marva. From there he branched to portraits of black society women in Chicago and on to documentary work about Chicago’s South Side in the Depression. An exhibition of that work caught the eye of Roy Stryker who gave him a fellowship with the FSA. His first images there struck right at the heart of how the nation’s Capitol treated its black workers. After the FSA disbanded, Parks moved to Harlem where he worked for Vogue and then LIFE where he was the first black journalist. 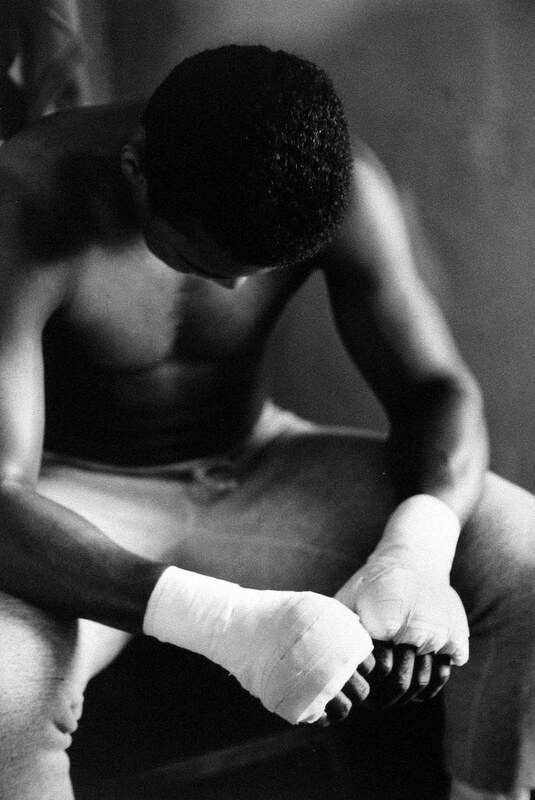 He photographed Malcom X, Stokely Carmichael, Muhammad Ali and produced a book-length essay on an orphan in a Brazilian slum. But that was just his photography career. He was also a successful novelist and poet, and wrote and directed the 1971 “blaxploitation” hit movie Shaft, for which he also wrote the score and popular theme. Manuel Álvarez Bravo — Like others on this list, he described himself as a photographer, not a photojournalist. 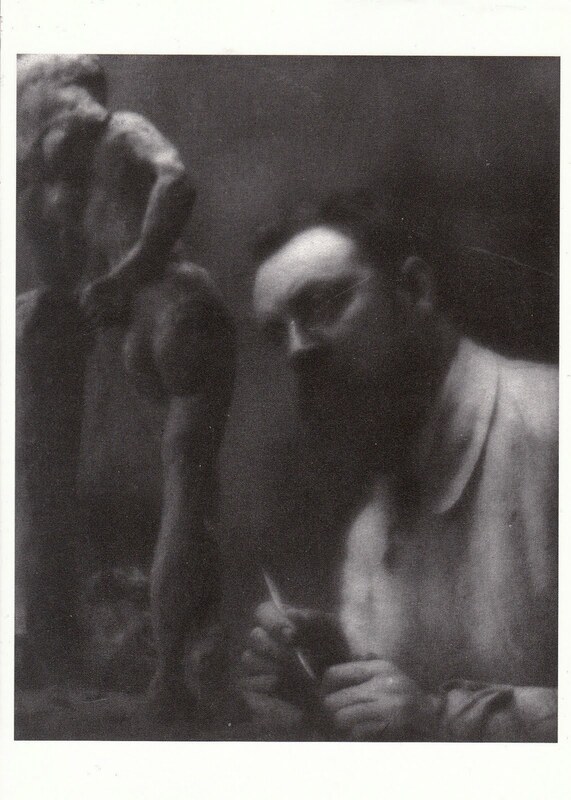 And like others he was a surrealist above all in the early 20th century. But his often political work brought attention to the struggles of a nation. His portraits, art and surrealism inspired generations of photographers from Tina Modotti to Graciela Iturbide, Flor Garduño, Miguel Rio Branco and Cristina García Rodero. He was the first Latino photographer to rise to prominence, and he helped define the style of a hemisphere. The Farm Security Administration Photography Program — Walker Evans, Dorothea Lange, Arthur Rothstein, Gordon Parks, Jack Delano, Russell Lee, Carl Mydans, John Vachon and Marion Post Wolcott. It was the dream team of documentary photography, assembled by economist Roy Stryker to photograph the plight of the American farmer during the Great Depression. The purpose was propaganda, really. But neither Stryker nor his photographers felt they needed to create advertising. The truth of the American economic situation spoke for itself, and as a result we have an incredible document of America at one of its most difficult points. Many of the photographs are the icons of that age, burned into the retinas of Americans born more than a half century after they were made. Most of the photographers went on to long photojournalism careers for LIFE, Look and other popular magazines. Mydans, who with his reporter wife spent time in a Japanese prison camp after the fall of the Philippines, made one of the iconic images of the Pacific War. Stryker carefully populated his staff to allow access to both genders and as many races as possible, to leave no group undocumented. Their work forms a template for cooperative documentary projects and expands on the social documentary started by Riis a half-century earlier. With every subsequent economic crisis, their work has been republished and emulated. Please note, all images on this post are linked directly from the originating sites rather than downloaded and republished. Please forgive any dead links. What makes the difference between a recognized artist and a dabbler, an amateur or a dilettante? I am sure there are formulas, Ph.D. dissertations and many entire books on the subject. I’m not writing this as an expert, only an observer. And I’ve been observing the case of Vivian Maier, a long-time amateur street photographer whose work was only discovered by accident in 2007 and attributed to her shortly after her death in 2009. Her images were uncovered by a few auction buyers who purchased her negatives and found themselves intrigued by the images. Through their efforts her work has since been published in blogs and international publications and exhibited by museums. Much of what makes the work compelling is the story behind it — a reclusive and private nanny who never really shared her images and found recognition only after the end of an austere life. That could be tragic. We all want to know in our own lifetime how our work is received. But then again she appears to have intentionally stayed out of sight. Maybe the tragedy is that we have thrust an intensely private person into the spotlight with our admiration. Tragedy (and overcoming it) makes a powerful narrative. And that narrative, as much as her work, is what is propelling Maier onto the world stage as an artist. Other tragic photojournalism figures have caught our attention this way, from Robert Capa’s companion Gerda Taro to João Silva. Capa, Chim and Werner Bischof have tragic narratives in tandem with their great images. The story of young Dan Eldon’s death in Somalia would have lingered in our hearts and minds for a relatively brief amount of time. But he left behind his own narrative journals, and those were aired by his mother and sister in an excellent documentary on conflict photographers. Drama isn’t the only propeller of narrative, though. Character plays an important part too. It’s very hard to think of a canonized artist who was not a great character. Georgia O’Keefe, for example, caught the public’s attention intensely after her work was interpreted as sensual or sexual despite her objections. With that interpretation, she became a character in the art world and more famous as a result. Then after moving to New Mexico in the 1940s she created an entirely new character of the reclusive desert artist. Rarely is her work seen without either persona in mind by the viewer. When we decide to become photojournalists we are often choosing a character already — one of a world-traveling bon vivant as Andre Friedman and Gerta Pohorylle created in the invention of Capa and Taro. Or we imagine ourselves grizzled war correspondents like Ernie Pyle, artful cowboys like Bill Allard, sensitive investigators like Donna Ferrato, or artists of the ephemeral like Sylvia Plachy or Martine Franck. No, she doesn’t. The work is familiar even where it is compelling. It lacks, perhaps, the higher purposes of academic art where the artist strives for a statement, an irony, a challenge that may only be evident to academics or those who bothered to read the analytical preface of the book. In addition, she cannot control how the work is being edited now, so we see her gems mixed with frames she might have discarded. I believe Maier’s work is art because of its absolute purity. I’ve been watching her images appear on John Maloof’s blog since before her fascinating narrative began to unfold, and they had me from the start. Hers is the work of an artist who worked only for her own satisfaction. The opinion of friends, relatives, editors or critics was never sought. The images are wonderful because they are done only for her personal pleasure, yet they still surpass the work of a million other amateurs working contemporaneously. Yes, she is an artist with a great narrative. As much as we would hope our being defined as “artists” is a result of our work alone, the art is only a sliver of the formula. What is accepted as art and who is defined as an artist is as much about marketing our narratives as it is about anything else. In marketing that narrative we must also craft our work to the expectations of the critics, the editors and collectors who will buy it, or the academic analysts who will deconstruct it. For ourselves, though, we need to stay pure and chase what intrigues and satisfies ourselves — all those others be damned — as Vivian Maier did. You can help support John Maloof and Anthony Rydzon in their efforts to make a documentary film of Maier’s life at Kickstarter.com. Every decade for the past half century the debate over the veracity of Capa’s Falling Soldier image from the Spanish Civil War rages anew. It is all over the photojournalism blogosphere and the media this last week. I am a bit disappointed with the 21st-century demonizing of him for what may probably be a setup. A decade ago I was eager to believe an elderly Spanish woman who claimed the subject was her dead brother, and the background of the image was where he was reported killed in action. It seemed to set the debate to rest and gratified my respect for Capa. Of course she might have been mistaken, and new research makes a compelling case that she was wrong. But regardless whether the image is real or not, we need to remember to judge the photo and the photographer in context. In 1936 photojournalism and its ethics were in their infancy. Capa would not have had the training of modern journalism professors and an extra 70 years of photojournalism ethics on which to hang his work. It is quite believable that he may have set up the photo, among others. Ethics is an evolution and always starts out a bit feral before civilization is reached. As late as the 1950s the vast majority of news photos, in the average paper, were completely set up. Fortunately for us and for history we have forgotten most of that work. And even in the early 21st century, many TV news images are set up, along with much suspect work on the Internet. I have no doubt that as Capa matured, his work progressed and his ethics developed, his work stayed quite honest. A photojournalist’s eye on his work could tell immediately that the vast majority of the moments are spontaneous. So we can’t and shouldn’t demonize him any more than we would W. Eugene Smith who unquestionably fused two negatives into one on a famous image of Albert Schwietzer, and used the edge of a negative in another from his Spanish Village story as if it were part of the real-world content. In that same story, using retouching brushes, he chose to change the direction of the gaze of a mourner. In his early Country Doctor story he unquestionably set up the lede photo of the doctor walking through a gate, and the closing image of the tired physician slumped with a cup of coffee after a long day. In his powerful and mind-changing Minamata work, the most famous image is also set up. Smith chose the time of day to ask Tomoko Uyemura’s mother to bathe her so he could catch the light that so effectively evokes Michelangelo’s Pietà. By standards of the late 20th century these are grave ethical breaches. Making even more subtle changes now get newspaper photographers fired and some magazine freelancers blacklisted from their clients. But at the time Smith was working these were not uncommon techniques. We all revere Smith’s ability to tell a story, his amazing eye for form, contrast and content, and the wonderful stories he brought us. And before we crucify Smith along with Capa, let’s remember this: Judge the photographer in context of time. Were they working today they would hopefully not behave this way. Would they, their colleagues and editors would have justifiable grounds to end their careers. They would have no excuses now. Our ethics have surpassed all this. Capa, Smith, and the often-mentioned-this-week Robert Doisneau, were imperfect men of their time, who despite their mistakes contributed hugely to our art, communication perspective and ethics. Collectively they created as many falsehoods among their work as the average daily photojournalist publishes in less than a week. And collectively they created as many honest, powerful and world-changing images in their careers as any Pulitzer-winning staff could hope to in a lifetime. I judge Capa, Smith and their contemporaries based on their era. I will judge my students and colleagues based on this era.